On 22nd October a Czech member of the NATO-led Resolute Support mission in Afghanistan was killed and two others were wounded - the 25th Air Defence Missile Regiment joined the allied Trident Juncture 2018 exercise - a new agreement on cooperation between the Czech Police and the Military Police signed - a Czech diplomat withdrawn from the embassy in Saudi Arabia in response to the killing of Jamal Khashoggi in Istanbul - the annual Helicopter Exercise Programme exercise will take place in the Czech Republic under the label „Dark Blade 2019“ in May 2019. On 22nd October a Czech member of the NATO-led Resolute Support mission in Afghanistan was killed and two others were wounded in the western province of Herat. The attack was carried out by a member of the Afghan security forces. The two injured soldiers had been taken to Bagram military hospital and did not face life-threatening injuries. The Taliban claimed responsibility. Rotný (OR-4) Tomáš Procházka was posthumously promoted to the rank of Chief Warrant Officer (OR-9). On the same day, Czech ground air defence personnel from the 25th Air Defence Missile Regiment, after unloading vehicles and equipment at the Norwegian port of Fredrikstad, joined forces with the German 9th Armour Brigade to take part in the allied Trident Juncture 2018 exercise. Two hundred soldier, up to 70 vehicles, and dozens of containers were transported during a week-long combined railway, ship and road journey, leaving Strakonice in the Czech Republic for Norway, the final destination. On 23rd October the commander of the Military Police, brigadier general Pavel Kříž and the Czech Police President Major General Tomáš Tuhý signed a new agreement on cooperation between the Czech Police and the Military Police. Since the 1st July 2016 the Military Police gained new competences concerning the police protection of the Army and of the Ministry of Defence, the cooperation with the Czech Police in this domain is essential, and gets finally the needed legislation frame, which concerns also public order and traffic service, cynology, and criminal police and investigation service. The Ministry of Foreign Affairs withdrew a Czech diplomat from the embassy in Saudi Arabia in response to the killing of Jamal Khashoggi in Istanbul, Turkey, on 2nd October. Minister Tomáš Petříček announced on 25th October that other sanctions would be coordinated at the European level, and that he had summoned the Saudi ambassador to inform him of his decision. 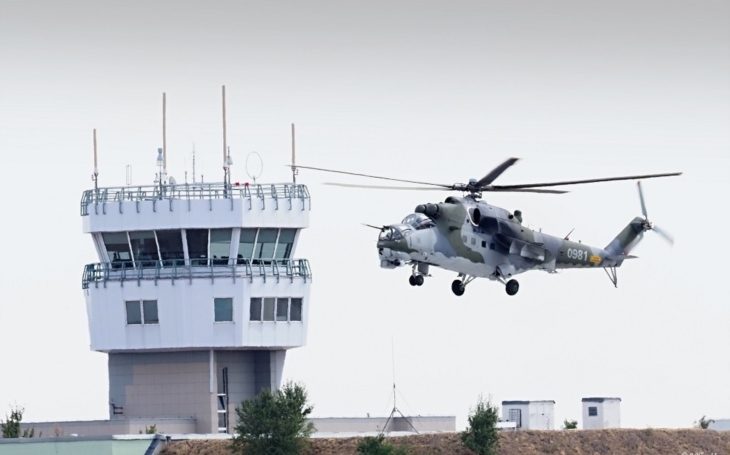 As announced by the Defence Agency (EDA), the annual Helicopter Exercise Programme (HEP) exercise will take place in the Czech Republic under the label „Dark Blade 2019“ in May 2019. In 2018 the exercies was held in Portugal and was called „Hot Blade 2018“, and focused on helicopter Composite Air Operations (COMAO) missions in hot, high-altitude and dusty conditions. A planning conference for Dark Blade 2019 took place in Náměť nad Oslavou Air Base (22nd Helicopter Air Base, home to the 221st and 222nd Helicopter Squadrons). The name indicates that Dark Blade will be about NVG flying and night missions. Germany, Slovenia, Belgium, Hungary and Italy confirmed their participation already, with 20 helicopters.